As market conditions fluctuate and consumer demands change at an exponential pace in today’s digital economy, it’s clear that speed is of the essence when rethinking your core DNA. If you really want to differentiate as an industrial enterprise, you need to leverage digital to improve your core business while scaling new businesses. A siloed approach to digital innovation is too slow. Tackling business problems as a solo company simply will not work. Instead, working collaboratively within a digital ecosystem, both internally (you need to break internal siloes) and externally, is essential for speed. An open ecosystem frees you from having to reinvent the wheel for every idea you want to develop and ultimately commercialize. With open innovation, you can turn to IoT, embedded intelligence, connectivity, cybersecurity, artificial intelligence, and other advanced technologies to reinvent your products and ideate new ones. For example, Schneider Electric is a 180+ year old industrial enterprise that is leading the digital transformation of energy management and industrial automation. Along with its long-standing offers, Schneider provides smart, connected products and digital services such as predictive maintenance driven by machine learning and remote asset monitoring of critical infrastructure. Accenture partners with Schneider to activate its internal engagement model for enabling its businesses to revisit traditional offers through the digital lens of Schneider’s EcoStruxure™ architecture. Embracing design thinking — that is, creative problem solving — is key here. So instead of building technology for the sake of technology, Schneider businesses can launch digital projects through a pragmatic, customer-centric framework: how will this project solve X, Y, or Z customer business problems? And how can we scale this solution? With this collaborative approach with Accenture, Schneider has reduced its digital innovation cycle from 2-3 years to less than a year. As Schneider’s EVP of IoT & Digital Offers Cyril Perducat has said, “There is no point in delivering the product if the user experience is poor.” If you’ve reinvented your products to make them smarter, you have opportunities to sell them in a different way. How can you extract the value of data insights from connected products? Is there potential for service offerings? For industrial companies, services based on outcomes and performance are changing the game. For OEMs, that may mean selling uptime as a service to its end-user customers. EcoStruxure Machine Advisor, a digital service platform, positions OEMs to make this digital leap. See what the SOMIC Group is doing to improve its Food & Bev machines. If you want to leverage digital to deploy and scale new offers with business models that promise growth, you must also digitally transform your internal operations to be more agile and generate savings that will fund and scale the new part. At Accenture, we call this change the “wise pivot.” Related to digital business growth, this philosophy is about finding the balance between the old and the new to stay steps ahead of disruptive forces. A critical component here is training sales people to understand the value digital will bring customers upon deployment. This mind shift from feature-centric selling to value-guided selling is very important for successful digital transformation. Pivoting wisely depends also on redefining the customer experience. We recommend that industrial companies take inspiration from industrial consumerism: what is the quality of the experience the product is giving customers? The best way to answer this ongoing question is to involve customers upfront. Welcome customers into your open innovation ecosystem, consider their specific pain points, work in sprints to solve their challenges, and then reiterate your offer development based on specific customer feedback. Failing fast is also an important part of the story: test first releases with customers, improve them, and then scale. Embedding more and more intelligence and software in products also provides data-driven insights to continually improve the customer experience, which will make or break the product itself. Accenture has observed the rapid emergence of digital ecosystems. Schneider is escalating its open ecosystem model in the form of Schneider Electric Exchange, a newly launched platform, community, and marketplace where Schneider brings together stakeholders to solve specific business problems. For example, AI apps for fault detection and asset management are available within the Schneider Electric Exchange ecosystem for stakeholders to activate and use. Schneider Electric Exchange orchestrates the ripple effect of the sharing economy: the more stakeholders bring to the digital table, the most everyone gets out of it (e.g., better data models, business insights, network connections). What’s in it for industrial companies? Discover more on Schneider Electric Exchange. Jean is leading Accenture’s Industrial segment for Europe, Africa, and Latin America. Based in Paris, he is the Global Client Account Lead for Michelin. As a thought leader, Jean focuses on innovation and the creation of new business models from design through execution of large global transformational programs for Accenture’s clients, leveraging digital. Jean joined Accenture in 1992 and has focused primarily on Automotive and Industrial Equipment. 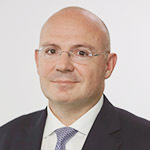 He is responsible for defining and driving Accenture’s growth and innovation initiatives in Europe for Industrial. Jean has extensive business modeling, supply chain, finance, CRM, ecommerce, and SAP transformation design and implementation experience, working with his clients to successfully implement these programs to drive results. He also has worked extensively with start-ups committed to open innovation to help Schneider Electric create its Digital Services Factory.